What is the MeSH Analyzer? 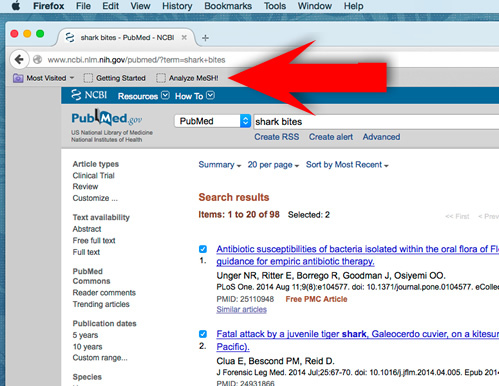 Want to use it in PubMed? When conducting a comprehensive search, it is critical to design a strategy that retrieves all potentially relevant articles. Experienced searchers know the power of using controlled vocabularies but also the frustration of not being able to pinpoint articles known to be relevant but missing from the initial retrieval set. Librarians have long analyzed Medical Subject Headings to design and refine searches. A MeSH analysis grid can help identify the problems in your search strategy by presenting the ways articles are indexed in the MEDLINE database in an easy-to-scan tabular format. Typically, each column in the grid represents an article, with identifying information of the article at the top of the column, such as the PMID, the author, and the year of publication. The MeSH terms are sorted and grouped alphabetically for ease of scanning. Librarians can then easily scan the grid and identify appropriate MesH terms, term variants, indexing consistency, and the reasons why some articles are retrieved and others are not. This inevitably leads to fresh iterations of the search strategy to include missing important terms. 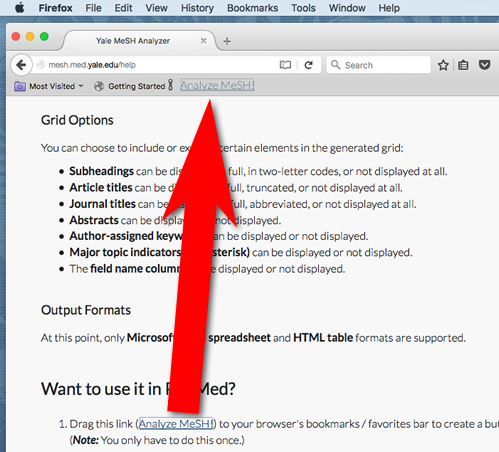 In addition to MeSH terms, author-assigned keywords, article titles, and abstracts can be included in the analysis grid. Creating a MeSH analysis grid manually is a tedious, time-consuming task. Metadata for each article must be manually retrieved, extracted, and pasted into a grid, and then the MeSH terms must be manually sorted and grouped alphabetically. The Yale MeSH Analyzer removes the tediousness from the process and saves time by automatically retrieving the article metadata necessary for generating a MeSH analysis grid, and automatically formatting the display of the grid. Generating a MeSH analysis grid using the MeSH Analyzer is easy: simply paste in a list of PMIDs to the text box and click "Go". You can delimit the PMIDs in any way you like. The Analyzer will scan for the PMIDs in the text it receives and attempt to retrieve article data for those PMIDs from PubMed. A MeSH analysis grid quickly becomes difficult to scan if it is overly wide and requires horizontal scrolling. Therefore, while the Analyzer will generate a grid for a maximum of 20 articles, it is generally recommended that no more than a manageable number of articles are included in a single grid. Subheadings can be displayed in full, in two-letter codes, or not displayed at all. Article titles can be displayed in full, truncated, or not displayed at all. Journal titles can be displayed in full, abbreviated, or not displayed at all. Abstracts can be displayed or not displayed. Author-assigned keywords can be displayed or not displayed. Major topic indicators (the asterisk) can be displayed or not displayed. The field name column can be displayed or not displayed. At this point, only Microsoft Excel spreadsheet and HTML table formats are supported. Drag this link (Analyze MeSH!) to your browser's bookmarks / favorites bar to create a button. 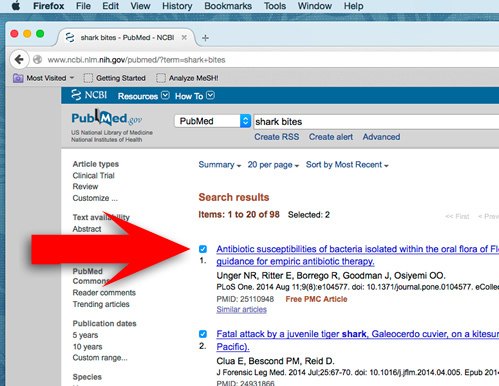 In a PubMed search results page, select the records you want to analyze. Click on the button you just created in your browser's bookmarks / favorites bar. Grossetta Nardini HK, Wang L. The Yale MeSH Analyzer. 2019; http://mesh.med.yale.edu/. Accessed Date Accessed. Grossetta Nardini HK, Wang L. The Yale MeSH Analyzer [Internet]. New Haven, CT: Cushing/Whitney Medical Library; 2019 [cited Date Accessed]. Available from: http://mesh.med.yale.edu/. © 2015-2019. Cushing/Whitney Medical Library, Yale University.